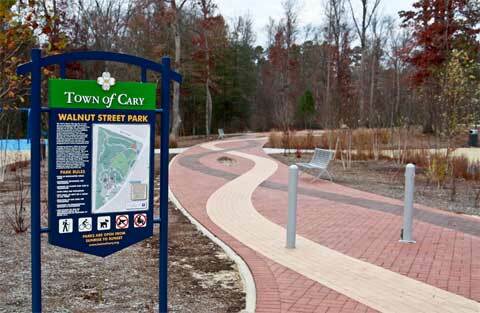 Did you know that the town of Cary offers over 20 parks and 70 miles of trails and greenways? July is Parks and Rec month and there are so many great ways to take advantage of your summer days! You can check out maps of the trails under the Parks, Recreation & Cultural Resources Department section on www.townofcary.org. Take a walk around the Cary Arts Center, Hemlock Bluffs, or even Bond Park. There are so many great classes going on at the Cary Arts Center for children of all ages and adults. Also, the Bluffs have so many beautiful plants to walk through and look at. Take a day out of your busy schedule to plan a family walk and enjoy Parks and Rec month! Even after July there is no reason to take use these wonderful resources Cary has to offer you. Posted on July 26, 2013 by marykim1 •	This entry was posted in Lifestyles of Cary and tagged Cary, Cary Arts Center, Cary NC, Cary NC Real Estate, Greenways, Hemlock Bluffs, Park and Recreation, Trails. Bookmark the permalink.